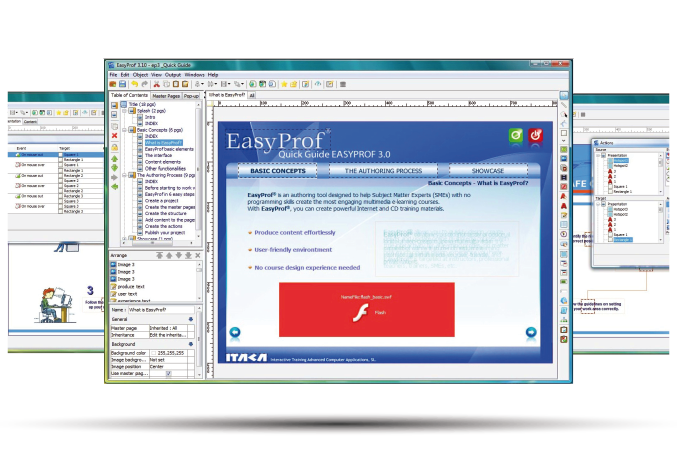 EasyProf is an authoring tool for creating attractive online e-learning contents. It is designed for authors who are experts in their respective fields, who have experience using computers but not in programming. No need for a whole team to develop and manage content. No designers or programmers are needed, only an author. With EasyProf you integrate any multimedia file, create powerful interactivity and publish your course in HTML, HTML5, SCORM HTML or CD-Rom. Pros: Intuitive, easy to use. No programming skills required. Cons: The way that exports to pdf files. I would make it easier and more adaptable to various purposes. Overall: I have tried 3 authoring tools and EasyProf was, by far, the easiest to use, complete, appropriate for my needs. For my clients, I´ve developed four courses with these topics: alimentation and nutrition, self-help and motivation, books and literature, business management (how to motivate your team). It´s just the perfect tool for my organization, and the support is very effective and fast. Recommendations to other buyers: Just the one above, about pdf.